Healthy lifestyle is not jumping from one fad diet to another, sporadically going to the pool to do a few dozen laps or occasionally going for a walk on the beach to get some sunshine. Nor is it going to the gym in order to lose weight and get the perfect six-pack by using special nutritional supplements or weight loss medications. What is it then? It's a system which utilizes evidence based and proven healthy approaches along with the regular monitoring of results. It is vital that you don't employ unprofessional recommendations and that you leave out any unhealthy habits. Well balanced diet which takes into account your age, gender, level of physical activity, as well as any health problems you may have, such as diebetes, high cholesterol and others. Speicial physiological conditions such as pregnancy and breastfeeding, as well as other factors, should also be considered. Your exercise program should also take into consideration your age, gender, health status and physiological conditions such as pregnancy. It should also reflect the frequency, intensity, duration and other aspects of your normal physical activity. Sufficient and safe sun exposure is also imperative for good health. As stated in our previous blog modern research shows that appropriate sun exposure during safe periods of the day without the application of sunscreen is very important. See our previous blog for more information. All of the factors mentioned above are important; however none of them will give you the best benefits if used in isolation. For maximum effect they must be used together. Speak to our team at Health Point Physiotherapy for more information. 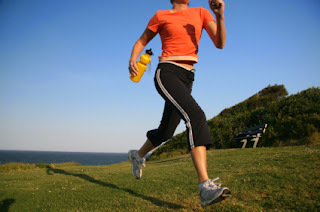 For more tips on healthy lifestyle see http://www.healthpointphysiotherapy.com.au/ (Health Programs tab). Rarely this type of blogs are found with a great information. After a long period of time i saw this kind of blog and i would love to suggest people to read your blog and share the information with people they know. As u all know how important are our eyes in the life. We are here to help you as we are operating one of the best Eye Clinic in Dilsukhnagar and are well known for providing best eye treatment.